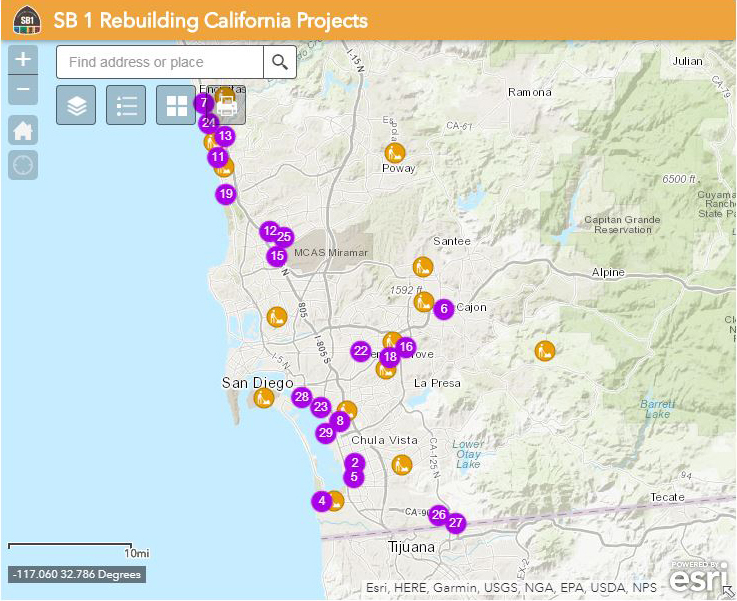 SB 1 is a major transportation funding package, with investments primarily targeted toward fix-it-first projects. Among its provisions, SB 1 provides a significant increase in local streets and roads funding for each city and the county; funding for rail and highway improvements and transit operations; and competitive grant programs for new transportation improvements. What Does SB 1 Mean for San Diego County? Read about some of the projects that will benefit from SB 1 gas tax dollars. Displays regional projects either nominated for or awarded funding.